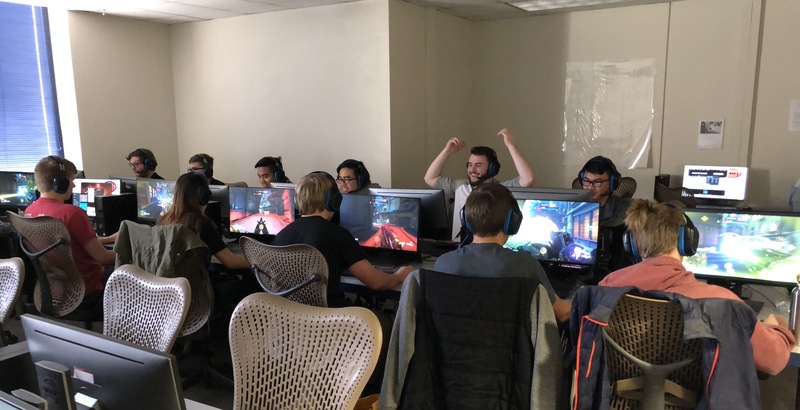 Esports Association at OU started their day-long tournament with a 3 round tournament of Overwatch. The teams consisted of one pre-made team; ‘OU IT Services’ and three teams compiled of free agents. Round one began with ‘OU IT services’ against ‘Fail Squad’ and ‘Dream Team’ against ‘Friends.’ This round ended with both ‘OU IT Services’ and ‘Friends’ taking a 2-0 over their opponents. The third and final round consisted of ‘OU IT Services’ vs. ‘Dream Team’ and ‘Friends’ vs. ‘Fail Squad.’ ‘Friends’ and ‘OU IT Services’ both came out on top with 2-0 wins. Congratulations to all teams and their team members. While they were unable to stream the Overwatch tournament, make sure to check out Esports Association at OU’s Twitch page for archived streams and look there for all future tournament streams.